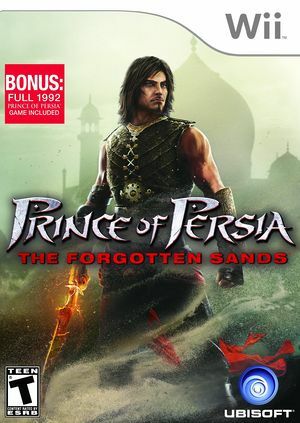 Prince of Persia: The Forgotten Sands is a new installment in the popular Prince of Persia series and presents a new adventure within the Sands of Time universe. After leaving his father's kingdom to prove his worth, the Prince is drawn toward a mysterious realm. He quickly discovers that he must harness his acrobatic abilities and powers over the environment to not only survive, but to save a mystic palace from unfathomable evil. Weird striped shadows may appear under the main character with EFB Copies to Texture Only. Disabling EFB Copies to Texture Only may solve this issue. Can't replicate in 5.0-6004, and unseen in 4.0-8901 or even r5192 videos. The graph below charts the compatibility with Prince of Persia: The Forgotten Sands since Dolphin's 2.0 release, listing revisions only where a compatibility change occurred. r5192 Windows 7 Intel Core 2 Quad Q9505 @ 3.6GHz NVIDIA GeForce 9800 GT PoP: The Forgotten Sands running on Dolphin emulator. Game seems to run well, minor graphical glitches, runs at full speed most of the time. Currently the game only runs with the patch provided by user Spellforce on Dolphin forums (links below). If you're playing the game with Direct3D plugin, disable EFB Scaled Copy or else you'll get blocky graphics. Don't forget to enable Safe Texture Cache hack for proper graphics. Music works perfectly, sound can get out of sync. Played with real Wii Remote & Nunchuk.